Even in times of severe drought, the Santhali community in Pakur district of Jharkhand will not touch the Jaher Than for fruits, flowers or fuel. It is their sacred grove. 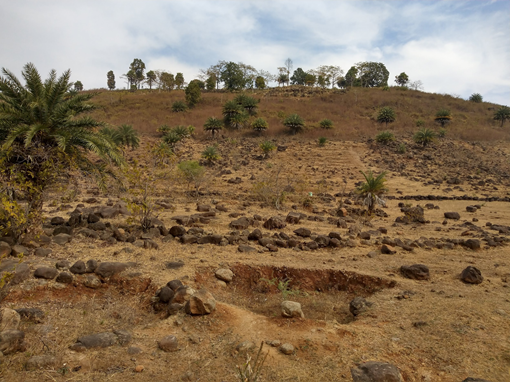 As a result, this small piece of forest has thrived for generations with a huge variety of flora while the hills around the village have been denuded leaving a few sad silhouettes of trees sticking out into the sky from the ridge – a stark reminder of what was. Forests regulate the carbon, nitrogen and phosphorus cycle as well as the hydrological cycle. They directly support 100 million human lives in India, half or which are adivasis. Forests form the ecological base on which all diverse forms of life on earth thrive. The forests across the world hold enough carbon which if released would shoot up the total emissions by 33 times. Life on earth was made possible by trees in forests, that evolved from phytoplanktons and absorbed carbon from an atmosphere full of CO2 and water vapour, about 4 billion years ago. They slowly stored the carbon in its body and made the atmosphere breathable helping life to blossom. As trees died, the stored carbon went under the earth and over time became coal and oil – the same fossil fuel that we happily burn today returning the CO2 to the atmosphere. We are reversing a life enabling process of cleaning the atmosphere that took millions years. 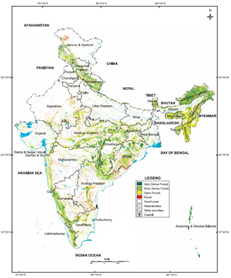 The systematized onslaught on India’s forests started with the establishment of the colonial Forest Department in 1864 and the firstForest Act of 1878. 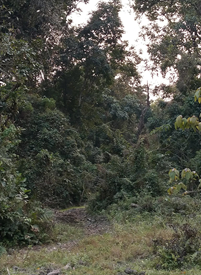 The state apparatus through the Forest Department viewed the forests of India as “resources” waiting to be extracted, and started shifting ownership from communities to the state. The violent establishment of state -control by undoing traditional community rights set up a perpetual conflict between the people and the Forest Department that has not ended to date. It is no coincidence that the first resistance to British rule came from the adivasis of Santhal Parganas – Tilka Manjhi, Phulo and Jano Murmu, Sidhu-Kanu, Birsa Munda are a few familiar names, but entire communities had risen in revolt. Since 1980, 15000 sq Km of forests have been diverted for non-forest purposes. One third of it was swallowed up by mining alone followed by defence and hydroelectric projects. 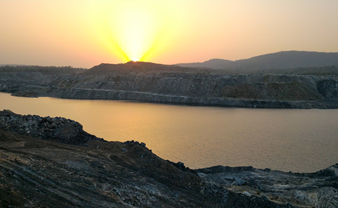 The Ministry of Environment and Forest has recently given clearance to divert 840 hectares of pristine forests in Surguja and Surajpur districts of Chhattisgarh for a coal block. The Forest Survey of India Report, 2017 puts the forest cover of India at 21% which includes degraded forests, severely degraded forests, open forests and plantations. 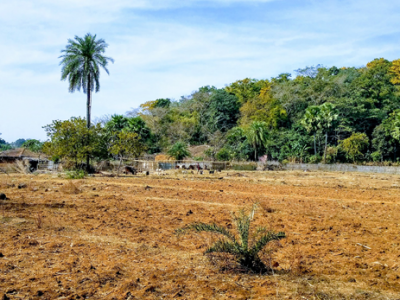 Plantations are incapable of replacing the complex ecosystems of a forest nor can they support biodiversity like the natural forests or regulate the hydrological cycle. 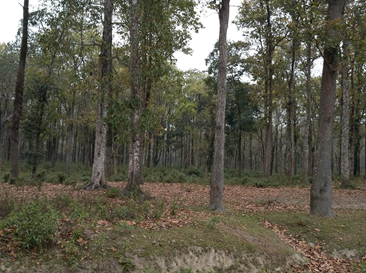 Pointing to the straight line of trees a plantation forest, a villager in Buxa Tiger Reserve in North Bengal, explained how big animals like elephants, tigers or rhinoceros cannot live in plantations because of a clear line of sight through the trees. Monoculture plantations impede the growth of brush or other plants at a lower height which means smaller animals cannot feed which in turn limits the survival of big animals. People living in forests for centuries have very deep understanding of the forests and comprehend the complexities of the web of life. Imagine breaking up your 3 BHK apartment and allocating the 3 Bs in 3 different neighborhoods and the kitchen with only 1B. Such a house would have no meaning even if the square footage added up to the original. Measuring forest cover alone fails to captures such fragmentation that makes life impossible for animals. Migratory paths of elephants are routinely broken up forcing them into the villages in search of food or death by collision with trains running through these forested areas. Plantations give clear line of sight & are uniform. Huge tracts of land once covered by dense forests in Jharkhand have turned into deserts. Droughts are getting increasingly severe in these areas, despite a good annual rainfall of 1200mm to 1300mm. In absence of the forests, rains pound the ground and quickly run off into the river and sea taking along with it the precious topsoil – which further makes it difficult for forests to regrow. Agriculture, human health and food security are but a few things that are severely affected. 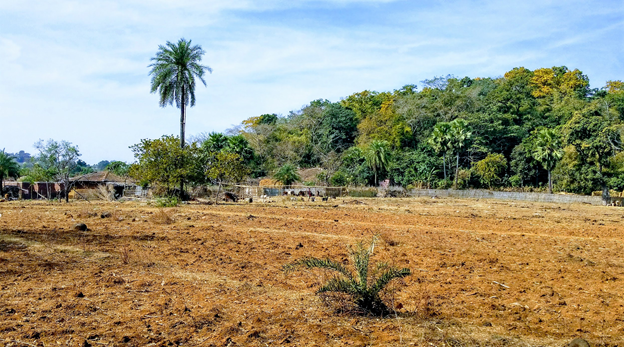 The Santhal and Paharia communities understand the direct connection of forests and rain and say how the rains come down very quickly these days and the water runs off fast leaving the communities high and dry. Droughts are a big push factor for large number of people in rural India migrating in distress to cities in search of insecure livelihoods. Today 54% of India faces acute water stress. India loses 23 hectares of dryland to desertification every minute or 14 sq km of dryland turns into desert every hour. In our conversations almost all communities in Bengal, Jharkhand and Odisha have recorded the loss of forest being responsible for the extinction of animals. An elderly man in Dumka said, even 2 or 3 decades ago, they would not go close to the forest after 4pm because it was full of wild animals. 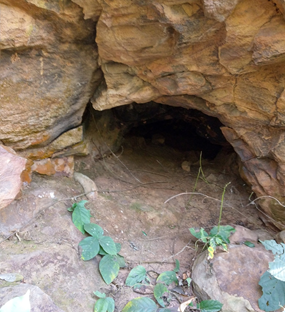 Later in the day, we walked with them into the forest where they showed us a tiger’s lair, which needless to say lay abandoned. Now they are lucky if they see a rabbit. According to a WWF report, 60% of mammals, birds, fish and reptiles have been wiped out by human activity. The same person identified at least 10 varieties of herbs in the forest as we followed him. The indigenous knowledge of the people is far deeper and comprehensive compared to that of a colonial institution like the ForestDepartment. 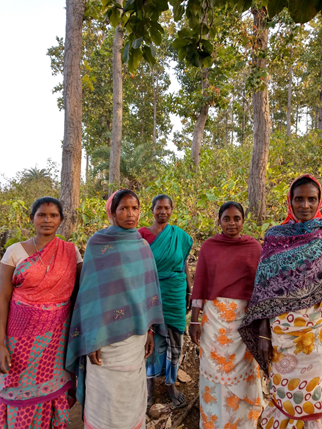 Conservation, sustenance, livelihood and protection of the forests are indistinguishable for an Adivasi community and are deeply ingrained in their humane worldview. In a recent Scientific American article, Madhav Gadgil has written about the adivasis’ sacred groves in India. We met women in Koderma and Pakur who take turns to patrol 100s of hectares of forest on foot, every day to protect it from logging. The most amazing thing is that they have been doing it for the last 20 years. These are hard working women who work in the fields, draw water from the well, manage their households among other things. They showed us the ponds they had excavated inside theforests so that animals and birds could quench their thirst in the summer! Academic journals are not able to capture such precious indigenous knowledge – only the lives of these people can which unfortunately are under threat. The present economic engine is insatiably eating away our ecological base and magnifying and exacerbating the existing inequity. Today 1% of population of India holds 50% of the country’s wealth. The coal, minerals, even topsoil that have been created patiently by nature over millions of years are being used up frivolously to benefit a thin creamy layer. A big part of the formally educated urban population is at best unaware of the massive destruction; others are active cogs in the wheel facilitating this destruction blissfully unaware that no one is immune from the collapse that propagates through the web of life and will reach everyone sooner or later. A lot is possible and a lot is being done. 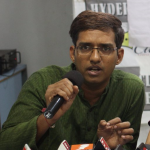 The rights of the Adivasi communities need to be strengthened under Schedule V & VI of the constitution and Panchayats (Extension to Scheduled Areas) Act or PESA. Needless to say, an immediate ban has to be implemented on destruction of native forests, mangroves and wetlands. Full implementation of Forest Rights Act: Scheduled Tribes and Other Traditional Forest Dwellers (Recognition of Forest Rights) Actwas brought into force in 2006 in response to the historical injustices done to the people of India living in and around the forests. The implementation of FRA has been really poor across the country. Besides, giving these communities access to the land they live on and collecting small produce like fruits, flowers & herbs to sustain themselves, it also gives the community right to conserve, regenerate and manage the forests. No forest land can be diverted without the explicit consent of the Gram Sabha. The government has been very hesitant in giving out community rights. Sixty percent of Forests in India exist in areas where Adivasi communities have lived and protected them. There is growing evidence that rights-based conservation by indigenous communities are far superior to the “fortress conservation” (as followed by Forest Department of India). A recent study published by Rights and Resources Initiative and the UN Special Rappoteur for indigenous people adds quantitative strength to it. Full implementation of MGNREGA: The right to 100 days of work a year has been a watershed in development programs in India that directly benefit the poor. Derided and discredited by the upper and middle consuming classes, it has transformed the lives of millions of rural poor, giving immunity from distress migration, food insecurity and bringing gender parity in wages among other things. MGNREGA is on life support with no political will behind it. Inflation adjusted spending on the program has actually gone down. 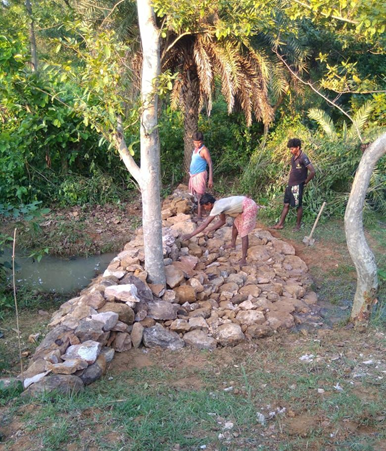 But MGNREGA can be used effectively across India to implement watershed development to conserve land, water and forests while providing sustainable livelihood to millions of rural hardworking people who face dehumanization every dayand are forced to migrate in search of livelihoods. What we do today about the forests might define whether human society makes a corrective turn towards a livable and a just world or it continues to careen towards complete breakdown by strengthening the oppressive economic, social and political structures that hold iniquitous relations together. 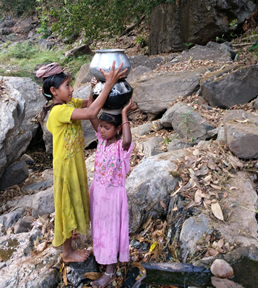 Villagers fighting displacement by coalmines in the pristine forests of northern Chhattisgarh said, “Jungle se hi pani hai aur pani se hi jeevan hai” – Forests give us water and water gives us life.